If you and your spouse are trying to get back on track credit-wise, and you’re perhaps busy paying for your children’s schooling or paying off student loans, it’s time to repair your credit. But how do you assist your spouse through credit restoration? We all get busy with other things in life. However, it’s important to keep your credit score in check—as well as your spouse’s, since you’re often in it together when it comes to financing major purchases. There are several ways by which you can learn how to improve your spouse’s credit score. The following credit repair information can boost your spouse’s score in just one month. As discussed in our blog post about what makes up your FICO score, your aggregate debt. Plus, the amounts owed on all credit cards and all installment accounts make up about 30% of your credit score. The most common revolving balances are amounts owed on your credit cards, and there is a big difference between the revolving balances of someone with a 780 credit score and a 680 credit score. A person with a 680 credit score has revolving balances of 40%-50% of their credit card limits. A person with a 780 credit score has revolving balances of 15%-25% of their credit card limits. When it comes to how to improve your spouse’s credit, don’t worry about paying installment accounts. They have a low impact on your score. Instead, the main difference between two people with a 680 and 780 credit score is the percentage of revolving balances. Pay off your spouse’s revolving balances, if possible. At the very least, aim to pay those balances down to less than 30%. This will improve your spouse’s credit score in 30 days or fewer. A single late payment can drop your credit score by 60 to 110 points. Uh-oh! If you had a 680 credit score, a 30 day late payment can drop your score by 60 to 80 points (and 70 to 90 points if you have a 90 day late payment). If you had a 780 credit score, a 30 day late payment can drop you score by 90 to 110 points (and 105 to 135 points if you have a 90 day late payment). The difference between a person with a 780 score and a 680 score is that the 780 score has no late payments, while a person with the 680 may have a 30 day late payment within the last year, or a 90 day late payment 2 years ago. Removing a late payment will take persistence. There are a few ways to request a removal. The most common and effective way is to call the original creditor and ask for a goodwill adjustment. If they resist, you can even negotiate the removal of the late payment by agreeing to sign up for automatic payments. For other late payments, you can file a dispute against the late payment, citing an inaccuracy. This is one of the top methods for how to improve your spouse’s credit score quickly. Anyone with a 780 credit score does not have any collections or other major derogatory items on their credit report. If you do have a collection account on your credit report, your goal is to get that collection deleted. Do NOT simply pay a collection. A paid collection usually does NOT improve your spouse’s credit score! Instead, negotiate a “pay for delete” IN WRITING with the collector. Only when you have a written agreement should you pay a collection account, and then work on getting the account deleted. It’s easy to neglect older credit cards when you have a primary credit card that you use all the time. If your credit cards haven’t seen any activity in the last six months, charge a small amount on the card. Creditors like to see that you’re using the credit available to you (and paying the balances off responsibly). Charging a small amount and paying off the balance demonstrates that you have a different mix of credit in use, which makes up a portion of your FICO score. This is a top method to learn how to improve your spouse’s credit score. Call your credit card companies and request a raise to your credit limits. Ask if they can raise your credit limit with a soft pull of your credit, since a hard inquiry will appear under the “New Credit” category of your FICO score. If you can negotiate an increase of your credit limit with a soft inquiry, then you will instantly decrease your revolving balance ratio (revolving balance divided by your credit card limits). If you have low balances and a good payment history, then your chances of successfully executing this tactic will increase. No credit = bad credit. You need credit accounts to be reporting to your credit report in order to improve your credit score. You must have at least 1 open revolving account, even if you have no negative accounts. In addition, this revolving credit account needs to been used in the last six months. There are a couple of ways to get credit to improve your credit score in 30 days. One way is opening a secured credit card, with a preference being given to a card that reports as an unsecured card with your credit limit to all 3 bureaus. The other way is to add yourself to a seasoned trade line. Someone with good credit history can add you as a co-signer, where you are equally responsible for all debt. Or, they can add you as an authorized user, where you are not responsible for any of the debt – and Mortgage FICO 5 will count the history as yours. If you truly need to know how to improve your spouse’s credit score in just 30 days, you will benefit by enlisting the help of a credit repair company like Go Clean Credit. To learn more about our credit repair programs, please contact us. Improving your spouse’s credit score will not happen overnight. If your spouse’s credit history is rife with negative items, there are ways to remove some of these from your credit history, but that’s best to talk to your personal financial planner or credit professional at Go Clean Credit. With the above tips, you can frame your spouse’s credit to try and get the best score out of the standards the lenders hold themselves to. 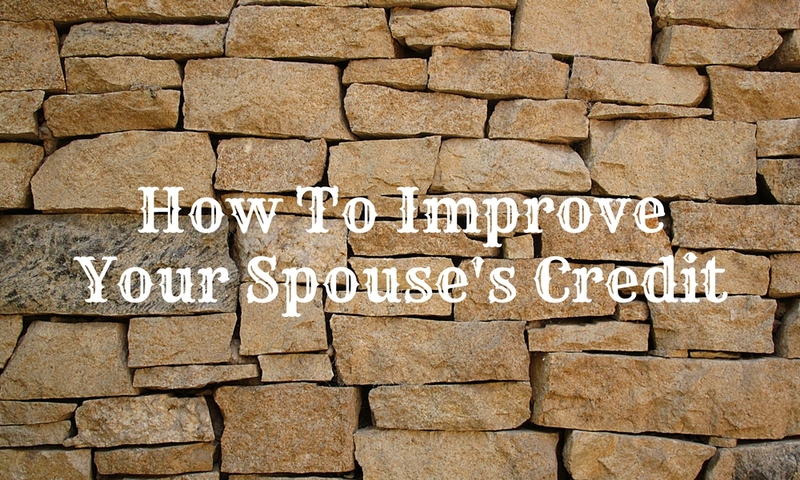 Need to know more about how to improve your spouse’s credit? Let us know! To enlist the help of a trustworthy, effective credit repair company, contact Go Clean Credit today. Most car loans are simple interest loans. Your monthly payment consists of two important parts: one is principal, which is the actual amount you borrowed to buy a car. The other component involves interest, the sum paid to the lender for borrowing. Payments may include more interest at the start of the loan, and then transition into a bigger principal amount as you edge nearer to the date of payoff. Right when you make payments over the course of the month, it can impact how much you pay in both principal and interest. If you pay early, then more of that payment goes to the principal balance. If you pay on time, then you will pay precisely the interest amount agreed upon at signing. If you pay late, then more of that monthly payment will go toward interest. The interest, paired with any lender fees that went toward providing the loan, are factored into the APR – the “annual percentage rate” attached to your car loan. Dealerships – Offering vehicles and loans in one place, they’re convenient spots for finance. However, rates might prove higher than your other choices. Banks & credit unions – These may offer a more low-pressure environment in which to find financing. Online lenders – These provide both a convenient and low-pressure method to apply for a vehicle loan at competitive rates. What Impacts Your Interest Rate On An Auto Loan? Your credit score. It informs lenders of how much risk they’re taking by lending to you. The loan term. In general, shorter loans offer lower interest rates as lenders get their money back quicker. However, a short loan term might mean higher monthly payment. The age of the car. New car loans typically have lower interest rates than those for used cars. Money down. You can get a lower rate by showing your commitment to the purchase with a sizeable down payment. Let’s say you have a current credit score of 555. Buying a car with a credit score of 555 is a possibility, but you will most likely have to deal with a sky-high interest rate. People with bad credit – if approved for a loan – are always offered higher interest rates than someone with a credit score even just 80 points higher. The average amount borrowed by car buyers is $27,000, according to Melinda Zabritski, Experian’s senior director of automotive credit. When you factor in the three common types of auto loans available in myFICO’s loan savings calculator — 36-month new auto loan, 48-month new auto loan and a 60-month new auto loan — you will get a good idea of how much more an auto loan will cost for someone with a credit score of 555 versus a credit score of 635. So you mean to say that an 80-point difference in credit scores results in a difference of $4,419—for the exact same car? Yes, that’s precisely what we mean. Getting a car loan with a 555 credit score is going to cost you a lot more. On a 36-month new auto loan, it will cost you $2,535 more. On a 48-month loan, $3,469 more. On a 60-month auto loan, it will cost you a whopping $4,419 more. In other words, if your scored changed to a 635—just an 80-point improvement—you would save thousands of dollars on your loan. It’s worth it to pay a company like Go Clean Credit to restore your credit before you take a test drive. Some people may think applying for a car loan is a decent way to start establishing credit. Well, it can actually damage your score—and you may not even be approved for an auto loan if you have poor credit. 1. Negotiating the monthly payment instead of the purchase price. Buying a car based solely on the monthly payment price tag is a trap. Don’t let the dealer know how much you can afford to pay—rather, consider separately negotiating the price of each category (financing, price, etc.). 2. Letting the auto dealer set the score on if you qualify credit-wise for the car. Your credit score is what determines your car financing interest rate. Know your credit score before you head to the dealer. Also, you might consider applying for a vehicle loan beforehand. 3. Making a poor decision between either a cash rebate or a low-interest loan. Your credit score has to be healthy in order for you to enjoy low interest rate financing on your car. 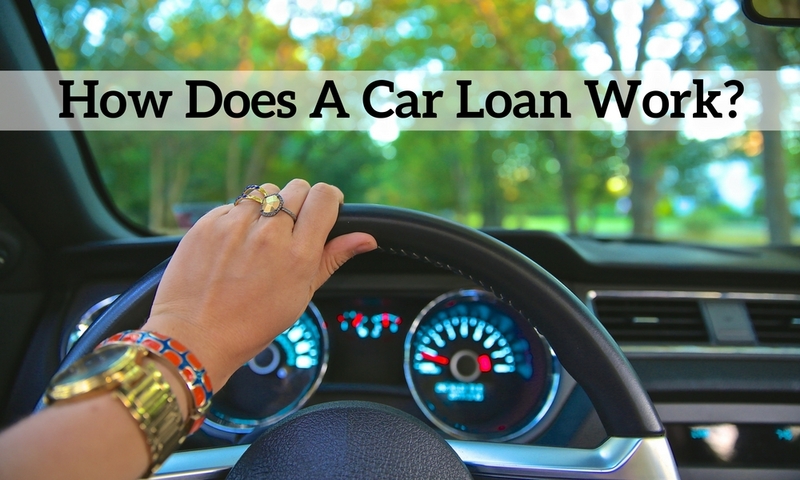 Need to know more about how does a car loan work? Let us know! To enlist the help of a trustworthy, effective credit repair company, contact Go Clean Credit today. Is a credit score of 565 good or bad? 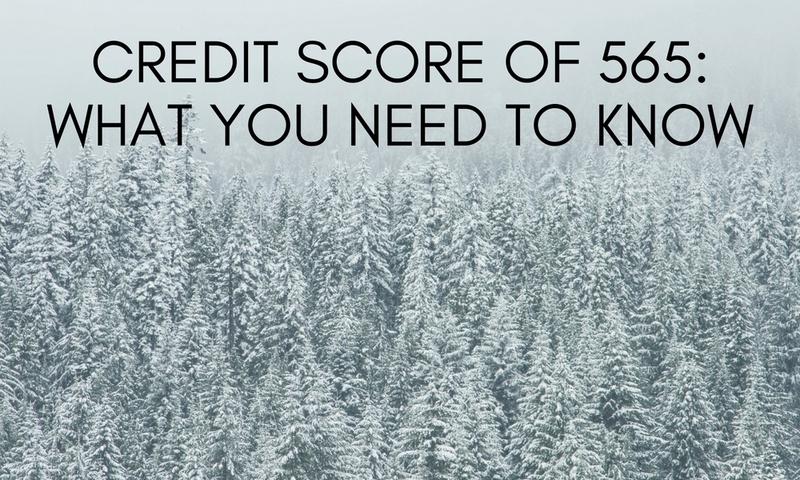 What does a credit score of 565 mean? Brace yourself for some bad news… If you have a credit score of 565, you have what’s considered “poor” credit and are in need of credit repair ASAP. As a general rule, credit scores below 619 receive the worst interest rates on home loans, auto loans and credit. The effects can really take a toll on a person’s life – and it might be worse than you think. What does having a credit score of 565 mean for home loans, car loans and credit cards? How do you improve a 565 credit score? Is it possible to get a loan with a credit score of 565? We will answer all of those questions and more—so read on. Buying a car with a credit score of 565 is a possibility, but you’re most likely going to have to deal with an extremely high interest rate. People with bad credit – if approved for a loan – are always offered higher interest rates than someone with a credit score even 80 points higher than their score. What is the interest rate for a credit score of 565 on a car loan? The average amount borrowed by car buyers is $27,000, according to Melinda Zabritski, Experian’s senior director of automotive credit. When you factor in the three common types of auto loans available in myFICO’s loan savings calculator — 36-month new auto loan, 48-month new auto loan and a 60-month new auto loan — you’ll get a good idea of how much more an auto loan will cost for someone with a credit score of 565 versus a credit score of 645. So you’re saying that an 80-point difference in credit scores results in a difference of $4,419—for the same car? Yes, that’s exactly right. Getting a car loan with a 565 credit score is going to cost you a lot more. On a 36-month new auto loan, it’ll cost you $2,536 more. On a 48-month, $3,469 more. On a 60-month auto loan, it will cost you a whopping $4,419 more. In other words, if your scored changed to a 645—just an 80-point improvement—you would save thousands of dollars on your loan. It is completely worth it to pay a company like Contact Go Clean Credit to restore your credit before you take a test drive. Let’s say you are a first-time homebuyer with a credit score of 565. Can a credit score of 565 buy a house? For most mortgages you need to be above a 620 credit score, but there are a few loans out there that go down to 565 for FHA. However, other parameters get harder (life debt to income), so it makes it pretty hard to qualify below 620. Let’s say that you may qualify for a FHA loan with a credit score of 565. As you’ll see in the charts below, a low FICO score increases the amount of money you will end up spending on a loan throughout the course of its life. Note: The 30-year fixed jumbo home mortgage APRs are estimated based on the following assumptions. FICO scores between 620 and 850 (500 and 619) assume a Loan Amount of $300,000, 1.0 (0.0) Points, a Single Family – Owner Occupied Property Type and an 80% (60-80%) Loan-To-Value Ratio. So, can a credit score of 565 get a mortgage? Maybe. But is it worth it? Getting a mortgage with a credit score of 565 will add an extra $105,480 over the course of the loan than someone with a 721 credit score. The interest rate for a credit score of 565 will increase the monthly mortgage payment by $183 more than someone with a score 75 points higher, at a credit score of 640. What’s the best credit card for a score of 565? Unfortunately, if your credit score is a 565, you will not qualify for an unsecured credit card. In other words, you will need to make a deposit to open a credit card account. Any credit score above 600 may qualify for an unsecured card – depending on the type of credit card you’re applying for. But if your credit score starts with a “5” and ends in two numbers (“65”), then you will only qualify for a secured credit card. What’s a secured credit card? It means that you will be required to make a minimum deposit in order to open your credit card. Go Clean Credit continually evaluates credit offerings and currently recommends these Secured Cards for people with a credit score of 565. We have seen up to a 40-point increase in credit score just by opening one of these cards. What happens to your APR for a credit score of 565? Here is a chart illustrating the differences between annual fees and interest rates between someone with good credit and someone with a credit score of 565. Just how bad is a credit score of 565? As we’ve seen in the sections above, this score impacts every aspect of your financial life. Mortgages, auto loans and credit card interest rates are all dramatically higher than they would be if you had moderate credit. If you would like to improve your credit score of 565, there are a few ways you can go about it. 1) Read this blog post on How To Improve Your Credit Score In 30 Days. We list simple tips in this blog post like paying down revolving balances to less than 30% and other tips that will improve your score quickly. 2) Read this blog post on what NOT to do when repairing credit. The last thing you want to do is move backwards in your efforts to improve your credit situation. 3) If you seriously need to improve your credit score in 30 days, you will benefit by enlisting the help of a credit repair company like Go Clean Credit. To learn more about our credit repair programs, please contact us. Is a credit score of 555 good or bad? 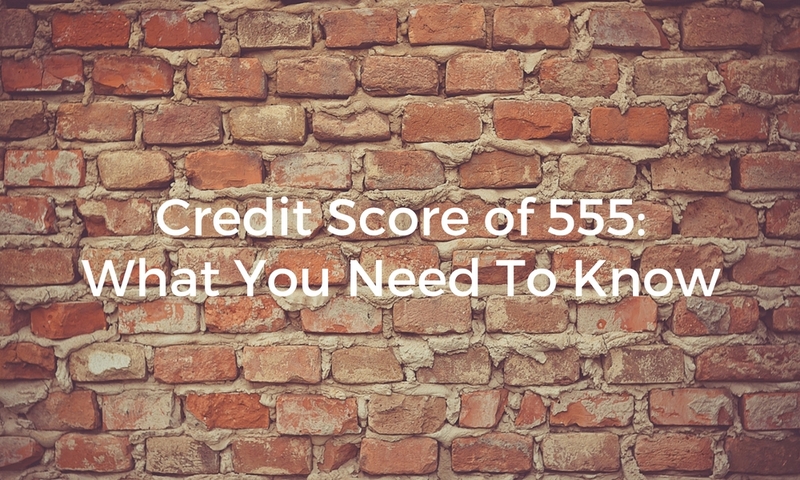 What does a credit score of 555 mean? Brace yourself for some bad news… If you have a credit score of 555, you have what’s considered “poor” credit and are in need of credit repair ASAP. As a general rule, credit scores below 619 receive the worst interest rates on home loans, auto loans and credit. The effects can really take a toll on a person’s life – and it might be worse than you think. What does having a credit score of 555 mean for home loans, car loans and credit cards? How do you improve a 555 credit score? Is it possible to get a loan with a credit score of 555? We will answer all of those questions and more—so read on. Buying a car with a credit score of 555 is a possibility, but you’re most likely going to have to deal with an extremely high interest rate. People with bad credit – if approved for a loan – are always offered higher interest rates than someone with a credit score even 80 points higher than their score. What is the interest rate for a credit score of 555 on a car loan? The average amount borrowed by car buyers is $27,000, according to Melinda Zabritski, Experian’s senior director of automotive credit. When you factor in the three common types of auto loans available in myFICO’s loan savings calculator — 36-month new auto loan, 48-month new auto loan and a 60-month new auto loan — you’ll get a good idea of how much more an auto loan will cost for someone with a credit score of 555 versus a credit score of 635. Yes, that’s exactly right. Getting a car loan with a 555 credit score is going to cost you a lot more. On a 36-month new auto loan, it’ll cost you $2,535 more. On a 48-month, $3,469 more. On a 60-month auto loan, it will cost you a whopping $4,419 more. In other words, if your scored changed to a 635—just an 80-point improvement—you would save thousands of dollars on your loan. It’s worth it to pay a company like Contact Go Clean Credit to restore your credit before you take a test drive. Let’s say you are a first-time homebuyer with a credit score of 555. Can a credit score of 555 buy a house? For most mortgages you need to be above a 620 credit score, but there are a few loans out there that go down to 555 for FHA. However, other parameters get harder (life debt to income), so it makes it pretty hard to qualify below 620. Let’s say that you may qualify for a FHA loan with a credit score of 555. As you’ll see in the charts below, a low FICO score increases the amount of money you will end up spending on a loan throughout the course of its life. So, can a credit score of 555 get a mortgage? Maybe. But is it worth it? Getting a mortgage with a credit score of 555 will add an extra $105,480 over the course of the loan than someone with a 721 credit score. The interest rate for a credit score of 555 will increase the monthly mortgage payment by $183 more than someone with a score 75 points higher, at a credit score of 630. What’s the best credit card for a score of 555? Unfortunately, if your credit score is a 555, you will not qualify for an unsecured credit card. In other words, you will have to make a deposit to open up a credit card. Any credit score above 600 may qualify for an unsecured card – depending on the type of credit card you’re applying for. But if your credit score starts with a “5” and ends in two numbers (“55”), then you will only qualify for a secured credit card. What’s a secured credit card? It means that you will be required to make a minimum deposit in order to open your credit card. Go Clean Credit continually evaluates credit offerings and currently recommends these Secured Cards for people with a credit score of 555. We have seen up to a 40-point increase in credit score just by opening one of these cards. What happens to your APR for a credit score of 555? Here’s a chart illustrating the differences between annual fees and interest rates between someone with good credit and a credit score of 555. Just how bad is a credit score of 555? As we’ve seen in the sections above, this score impacts every aspect of your financial life. Mortgages, auto loans and credit card interest rates are all dramatically higher than they would be if you had moderate credit. If you would like to improve your credit score of 555, there are a few ways you can go about it. How Does Canceling A Credit Card Affect Your Credit Score? Are you considering snipping your credit card in half? Perhaps you want to avoid excessive spending, or you have a card tacked with annual fees or a high interest rate. Well, before you reach for the scissors, here’s what you need to know about closing a card and its potential impact on your credit score. The decision to cancel a credit card may stem from what’s unnecessarily costing you money (cards that have high interest rates or annual fees). Even though you can ask for a lower interest rate by getting in touch with the card issuer, they won’t always respond in your favor. Credit cards that charge annual fees are ripe for cancellation if the issuing bank won’t waive the fee. Another good time to close a credit account is when you’re opening up a new credit card account. After an excellent balance transfer deal or a nice sign-up bonus for a new rewards credit card, then consider closing an old card. How does canceling a credit card affect your credit score? Well, there are some things to consider before closing any credit account. The mere act of canceling a credit card does not mean its payment info falls off your credit report immediately. For open accounts, positive credit data can potentially stay on the credit report indefinitely. Closed accounts with balances of zero and no negative information usually stick to credit history for 10 years from the date they’re closed. Thus, positive information can remain on there longer than negative information. That is because blemishes on your credit report do indeed come with an expiration date. Negative information, including late payments and foreclosures, have to come off your credit report after seven years. Furthermore, potential lenders factor in the credit amount still in use when a card and its credit limit are both canceled. Credit bureaus and lenders have an interest in the credit utilization ratio, which compares the amount of credit being used to the total credit the borrower has available. Average age of accounts. Canceling a credit card will not impact the average age of your accounts immediately, but if you cancel a card that is quite a bit older than your other credit cards, it may lower your average age when it finally falls off your credit history. Subsequently, that would lower your score. Keep your oldest card open, particularly if it holds a positive payment history. Credit utilization ratio. When you cancel a credit card, you lessen your available credit. Unless you cut back on spending, this will negatively impact your credit utilization ratio. Thus, even if you no longer want a certain credit card, it might be worth it to keep the card open – simply to lower your ratio. Number/variety of credit accounts. Once again, this will not affect your credit score for awhile. However, many credit scoring models factor in the number of accounts and variety of types of credit, so closing your only credit card could hurt you. Try to bargain with your credit card issuer. In many cases, it costs lenders more to find new customers than keep old ones on board. So if you wish to close a credit card just because it holds a high APR or an annual fee, try to first request a lower interest rate or ask the credit issuer to waive the fees (as mentioned earlier). 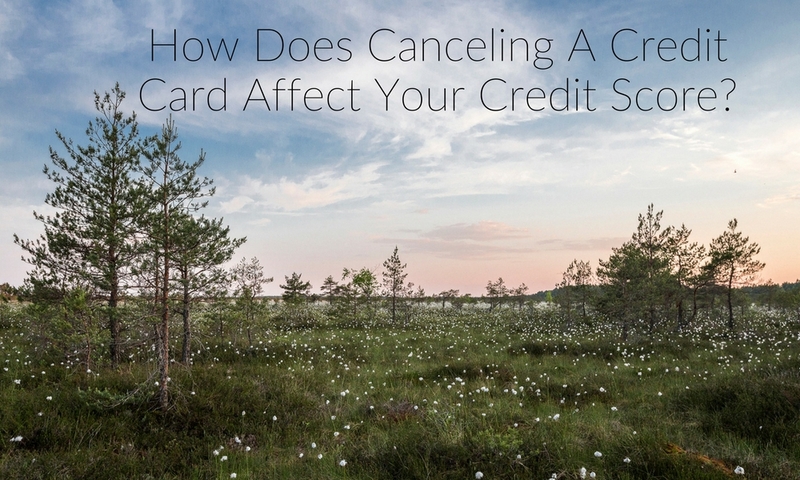 Consider canceling cards that are costing you money. Again, if your card has an enormously high interest rate or other fees, and your provider will not compromise, you may want to consider closing the card – especially if you do not use it. Remember to redeem any credit card rewards. It’s often common to lose some rewards when a card of that type is closed, and this might be inevitable. However, with proper planning, you can perhaps minimize the loss. Check your card issuer’s rewards procedures. You might be able to pull accumulated miles or points as a statement credit, if you cannot successfully apply them to travel or merchandise. Cash-back cards typically come with the simplest redemption features. However, most of them require rewards to reach certain thresholds—usually $20 or $25—before you’re able to redeem. Know the rules for redemption so you can plan out how to best capture accumulated rewards before you snip up the credit card. Know what to do beyond cutting your card in half with scissors. Canceling a credit card is a major decision, so make sure you fully commit to it. Even if you close the card via phone or online, follow up and make sure it is indeed canceled. Send a certified letter to the customer service department and request a confirmation letter. It can take a bit of time for your lender to process it, so sit tight! Once you are 100% certain it is a closed account, then you can finally slice up your card. Close all of your credit card accounts. How does canceling a credit card affect your credit score? Aside from potentially hurting your score down the road, closing all your credit cards may put you in a sticky situation if you ever need emergency credit. Forget to use your already open credit accounts. It costs money for lenders to report to credit bureaus. Thus, if you fail to use your cards regularly, the company might stop reporting them altogether. This may impact your score. So if you are keeping credit accounts open just so you don’t have to close them, try charging one minor, monthly, recurring payment on your cards (and paying them off each month in full) to ensure they remain active. For instance, this could be a tank of gas each month charged on that card. Close credit cards with favorable terms. No credit card is perfect. But if your card holds a low interest rate, no annual fee and other positive perks, it might be worth keeping it open just in case you need it later on. If you close the card, damage your score and end up needing to apply for more credit down the road, you might not get as great a card as the one you previously closed. Close cards before financing a big purchase. When applying for a mortgage or car loan, your score must be as high as possible so that you can reap the lowest interest rates. Plan ahead, and don’t let a last-minute impulse buy result in you paying thousands extra in interest over the lifespan of your loan. All in all, the choice to close a credit account is yours. However, keep these tips in mind and take a thorough look at your personal finances before making an informed final decision. Still need answers to “How does canceling a credit card affect your credit score?” Contact us! Need to know more about how does canceling a credit card affect your credit score? Let us know! To enlist the help of a trustworthy, effective credit repair company, contact Go Clean Credit today. Curious as to how identity theft affects your credit score? 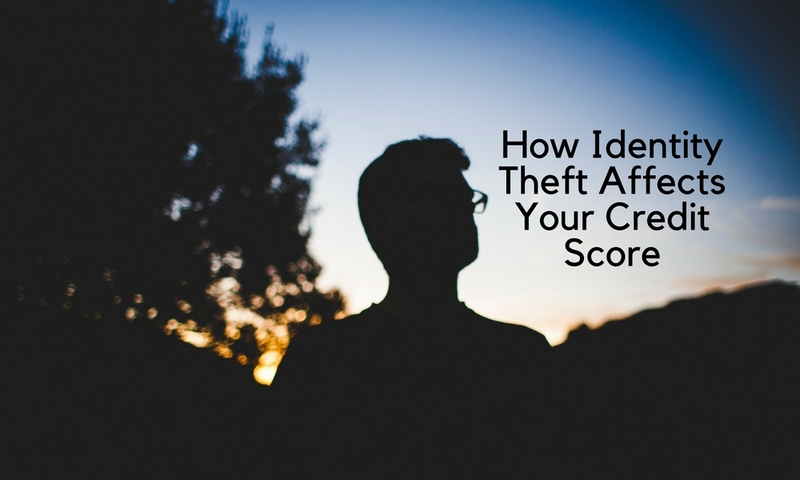 It’s happened to many of us, and it’s as frightening to know someone has thieved your identity as it is to know your credit score may take a hit because of it. Here’s everything you need to know about how identity theft affects your credit score, and how you can restore your credit. When a random person takes out a loan in your name, they have no real incentive to pay off the debt. Thus, they rack up debt and leave us to pick up the pieces. In fact, you might not even realize an identity thief is stealing your information until you hear from a collection agency about owing money. By that time, your credit score has surely already taken a hit. Your credit score is your key to appearing as a responsible citizen to a lender. An identity thief’s actions can stamp negative information onto your credit report, which then drops your credit score and limits your ability to qualify for loans. New credit inquiries: Every time an identity thief applies for credit under your name, the lender is likely to take a look at your credit report. These credit checks (a.k.a. “inquiries”) appear on your credit report, and they usually drop your credit score by a couple of points. New loans or new credit cards: Brand new loans or credit card accounts opened by an identity thief do not necessarily hurt your credit. However, when those accounts become delinquent because the thief fails to pay the bill, your credit score drops every time a month of missed payments goes by. Collections accounts: After a certain time frame (typically 6-12 months), lenders turn any unpaid debt over to a collection agency. When this occurs, a collection account shows up on your credit report. That has a highly detrimental effect on your credit score. Medical ID theft often leads to a collection account, too. Identity thieves utilize your personal info to get medical services/treatment, and when those debts end up unpaid, the medical provider hands the debt over to a collection agency. Higher debt & credit utilization: Aside from payment history, another major piece of your credit score is how much debt you carry. If a thief adds charges to your accounts that go unnoticed, a rising debt amount can plummet your credit score. Extra damage can result from increased credit utilization. The greater the percentage of your available credit that you use, the higher your credit utilization—and thus the more it can affect your credit score. This is precisely why maxing out your card(s) is bad for the health of your credit. An identity thief who charges cards to their limits (and beyond) may lead to a significant dip in your credit score. Unpaid cell phone bills/utilities bills: When an identity thief starts a phone plan or house utility with your personal information and fails to pay the bills, those providers will probably report the missed payments to the credit bureaus. This causes a negative account to show up on your credit report, which damages your score. Identity thieves can also drain bank accounts, leaving the victim with no way to pay rent, mortgages, car payments, credit cards, or other bills. First, cancel all credit accounts that have been compromised. Contact the credit card company or companies via phone, and follow up with a letter as well as documentation. Because the thief may have access to your Social Security number, don’t forget to tell all other creditors that you’re a victim of identity theft. Ask the creditors to let you know immediately if any suspicious activity shows up on your credit account. File an Identity Theft Complaint with the Federal Trade Commission (FTC). The FTC can be contacted by phone at (877) 438-4338. Enlist the help of Go Clean Credit to repair your credit score after it has been lowered due to identity theft. Need to know more about how identity theft affects your credit score? Let us know! To enlist the help of a trustworthy, effective credit repair company, contact Go Clean Credit today. Consumer delinquencies fell last quarter to their lowest point in at least 15 years, according to quarterly data released early October by the American Bankers Association (ABA). The percentage of overdue closed-end loans was 1.35% in the second quarter, down three basis points from the first quarter. The ABA’s composite ratio tracks delinquencies in eight closed-end installment loan categories including personal, home equity and direct auto loans. It defines a delinquency as a payment that’s overdue by 30 days or more. The latest figure was the lowest since at least 2001, and it marked nearly 4 years of delinquencies below the 15-year average of 2.21%. A big reason for the latest decline was the 30-day delinquency rate on home equity loans, which dropped four basis points from the first quarter to 2.70%. “Rising home prices have restored equity, providing even more incentive for borrowers to stay current with their payments,” ABA Chief Economist James Chessen said in a news release. However, home equity line delinquencies rose six points, to 1.21%. In general, delinquencies fell in three of the eight closed-end loan categories compared with the first quarter. Among the ones on the rise were delinquencies in indirect auto loans, which rose 11 basis points to 1.56%. The ABA studies consumer delinquencies in three categories of open-end loans. One of those, bank card delinquencies, ticked up one basis point to 2.48%, but that figure is far below the 15-year average of 3.70%. Consumers’ continued financial discipline is said to have balanced out the increase in purchase volumes. 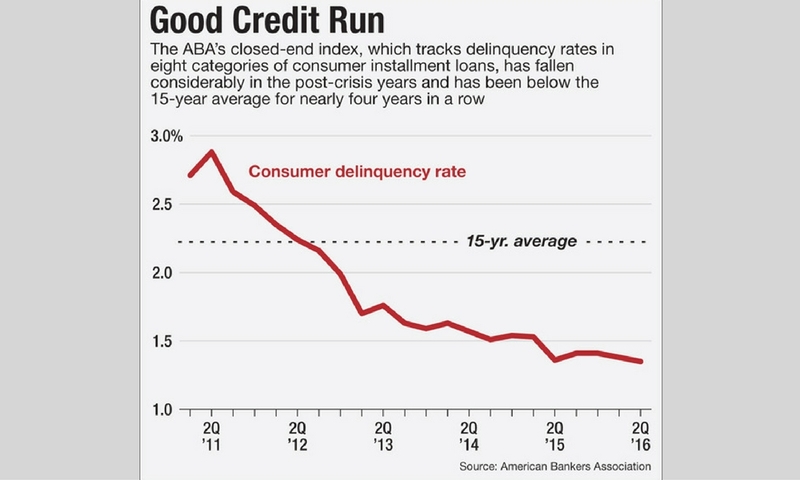 The ABA predicts that delinquencies will hover around historic lows “over the next several quarters,” in part because consumers have strong debt-to-income ratios and because bankers are said to be more cautious about gauging applicants’ ability to pay. Yet risk factors lurk in the background. Jobs data (like the monthly Labor Department report), corporate layoffs, trends in healthcare expenses and even divorce patterns need to be watched closely, Chessen noted. “Job loss, divorce and health care costs have always been the big three drivers of consumer delinquencies, and they will continue to be that way,” Chessen said. Need to know more about consumer delinquencies? Let us know! To enlist the help of a trustworthy, effective credit repair company, contact Go Clean Credit today.